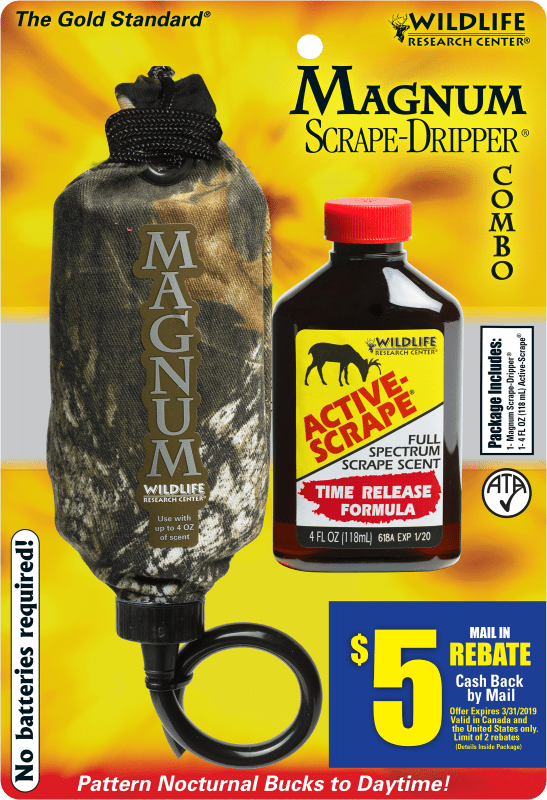 Go to your hunting woods right now and make a couple of stinky scrapes and hang trail cameras near them. Several studies have shown that whitetail bucks will hit scrapes with fresh scent year-round, and noticeably in the summer months. The fake scrapes are great places to get images of bucks that will roam your area this fall. Here’s how Wisconsin hunter and friend of BIG DEER Kim Redburn, who is a big fan of summer scrapes, makes them. The picture above is good proof from one of Kim’s mock scrapes. A mock scrape is not only scent-based, but also visual. Rake out at least a 2 foot by 3 foot area below an overhanging branch. As you rake, envision a buck. He scrapes with his hooves primarily in one direction, and your raking should be done the same way, leaving the debris on the back side of the scrape. Make your scrape directly below a prominent “lick” branch that bucks will most definitely rub with their eyes and racks, and chew on. The branch should be approximately 4 feet high–never touch it! Use this Wildlife Research dripper system with a scrape solution. Note: Do not use doe in heat or an estrus scent in the summer! 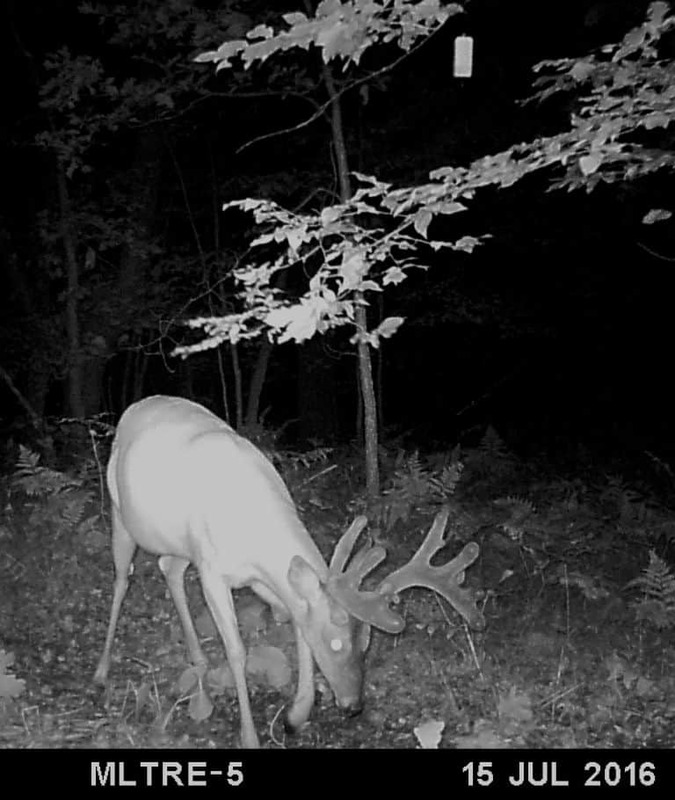 While any dirt will do, the best long-term mock scrapes where you set cameras to get buck pictures year after year have soils with real deer scent in them. Once you create a mock scrape in a spot you like this summer, make it a point to collect urine-soaked soil and droppings from real scrapes later this fall. Rake an existing scrape down to bare soil and trowel 3 to 5 pounds of the deer-scent dirt into a plastic bag. Carry the dirt to a mock scrape and spread it evenly across the soil. While this urine-scented soil is not necessary, it adds realism and makes for a more consistently attended scrape year-round.